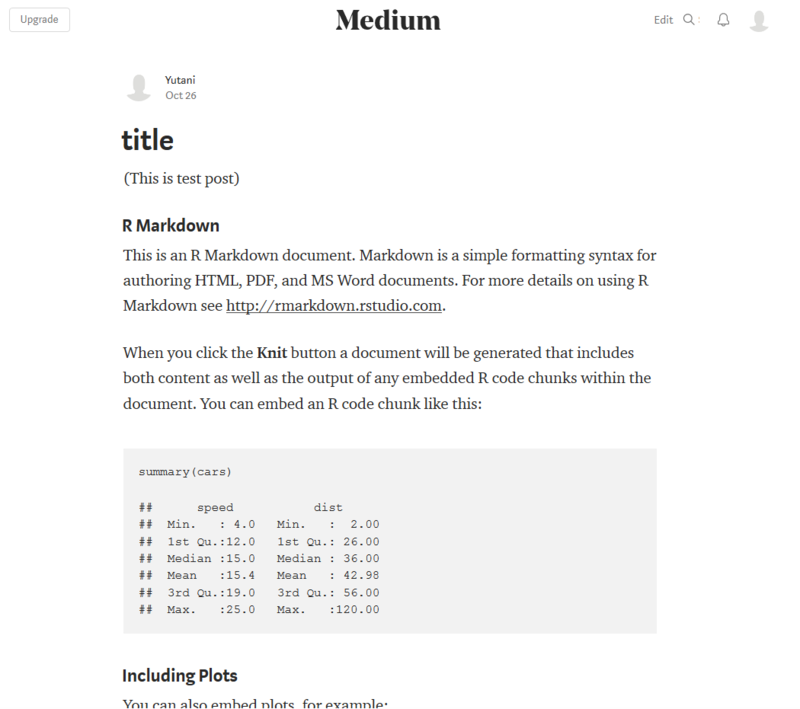 I created an experimental package to work with Medium API. 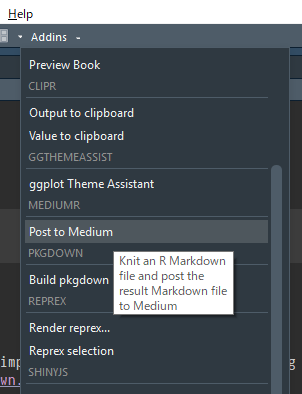 mediumr allows you to knit and post R Markdown to Medium. 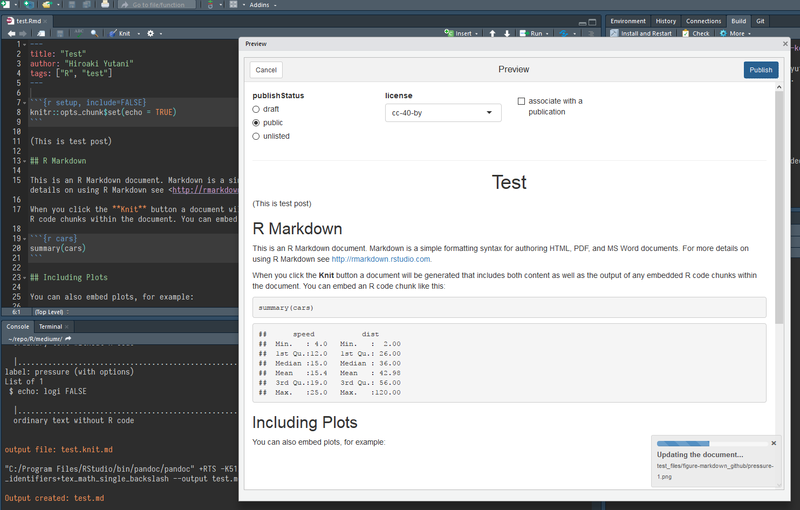 mediumr also provides simple bindings for Medium API. Please, read the “Usage” section of the README. If you find any problems, please let me know on GitHub, Twitter, or comment here!